If you are like me then you are always trying to find a good deal. In my opinion the art of finding a good deal is to find a good deal and have quality at the same time. When I say I am looking for a cheap RV rental I mean I am trying find the best RV I can rent for the least amount of money and not totally get ripped off which can easily happen if you’re not careful. I can go on and on with the list but I think you get my point. Owning can be a hassle especially with an asset the does not appreciate in value. 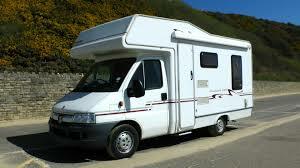 An RV or compare trailer is a vehicle and they depreciate in value over the years. Unlike a house or condo which in theory appreciate in value. This is my favorite out of all the options. It fits into the category of peer to peer RV rental. So basically it’s AirBnb but for RVs. You can find some really good deals especially if you’re renting on a non holiday weekend and are not too specific on what you want and where you are. I had a really good experience with RVShare Click Here to see my review. But like with anything else you have to use some common sense such as do not wait till the last minute to book and don’t rent one that looks like it has been used a lot. RVShare is a very reputable company and they have a pretty good track record so far. Of course they are not perfect but in my opinion they do a pretty decent job with connecting the renter with the right RV for them. This is the main competition for RVShare. I have not used them yet but from what I have read they are really good competition for RVShare. It’s just like Uber and Lyft. They offer the same thing but they operate a little bit different. From what I can tell, Outdoorsy have faster response time to questions and takes care of problems faster. So you have some differences like that. I noticed that a lot of people will list their RV on both RVShare and Outdoorsy. Just do your homework and pick the RV thats right for you. Outdoorsy is reputable and not a bad way to go. This seems like it would be a good idea but you have to sit and think about it. You are renting from a stranger on Craigslist. Who knows if it is even theirs. You are probably not going to be covered on any insurance like you are with the first two options I listed. It may be a great deal buy I’m sure there is a story behind it that you don’t want to know about. And you have a great chance that the RV could be a no show or they take your money and run. The list goes on and on why this is not a good idea but I think you get my point here. This may sound like a good option but it has disaster written all over. Again it all depends on what kind of relationship you have with the friend or family member but I would stay away from it. What happens if you get in an accident or get a big scratch or it breaks down. Fingers will be pointing all over the place and it usually starts a huge feud and the friendship could be ruined and family relationships severed. Use this option with caution and judge if it would be good to do. Over all the peer to peer options (RVShare & Outdoorsy) are your best options for renting a cheap RV or camper trailer. The benefits are endless and the ease of it really makes sense. Have fun on your next trip renting an RV.